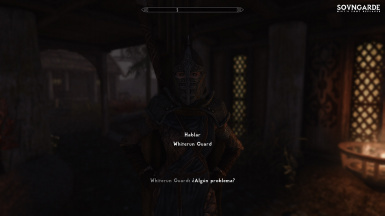 Sovngarde is a lore-friendly font replacer I designed by hand based on Skyrim's title. Supports 7 languages and 2 weights! 1. Studio Kasumi ("Developer") grants you one license to install and use this Software on a single computer. You may create backups to the software but do not circulate/distribute them in public. If you do not agree to the following terms of this license, please uninstall and remove all copies. 2. The software is protected by the copyright laws of the U.S. and other countries, and Developer retains all intellectual property rights in the software. You may not separately publish, sell, market, distribute, lend, lease, rent, or sublicense the Software. However, this license is not to be construed as prohibiting or limiting any fair use sanctioned by copyright law, such as permitted library and classroom usage or reverse engineering. 3. Developer provides this Software 'as-is' with no warranty and all defects, bugs and errors. 4. Developer has taken reasonable steps to keep the Software free of harmful files. 5. This agreement will apply from the download or installation date of the software, whichever is first. Mist created and implemented Sovngarde. underthesky taught me how to make the font alignment patch, which has improved every release since his help. Fozar created and implemented Cyrillic. DaimeneX created the Polish support patch. 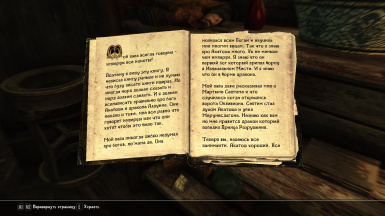 Talwick wrote the guide to using Sovngarde with a book font replacer. Props to the amazing testing team!! Tarshana, Doc, Ender, Chris, Kojo, Barbarian. You guys drive my modding lifeforce. Sovngarde light came into being because of your support. Thank you. Added a resized version of Sovngarde as the console font. Previous version in 8.7 was much too small. Added the missing capital ẞ (sharp S) Germanic letter. Added the missing Ё & ё for Russian users. Fixed the double line perk descriptions for Ordinator users. What happened was, the second line of the description was cut off. It's been previously fixed but somehow it happened again. This time it's 100% fixed though! Applies to all languages and versions. Fixed the "ю" letter that was mistakenly displaying as "o" for Russian users. Fixed the books being filled with squares on every language but English with the new open source book font (Drukaatie Burti by Kārlis Kalviškis). I took Drukaatie and added support for the missing languages so it would support all 8 languages. More info about Drukaatie listed in the credits. Fixed graphical glitch seen on the uppercase M in only the light version of the mod. Updated all file versions to 8.5 for clarity. Added Russian/Cyrillic support. This is a brand new set of glyphs and not dependent or related to the Russian version made for V7. Re-added Polish support after stabilizing the files and retesting them thoroughly. Added seamless switching between languages. What this means is, you can download ONE file and access all 8 supported languages without having to access your mod manger to swap out files at any time. 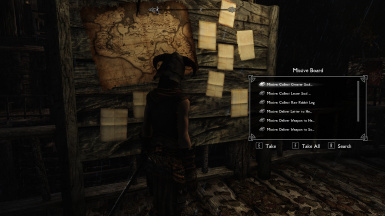 As usual, font compatibility patches are not compatible with previous versions due to a change in the way the game will lookup Sovngarde in the fontconfig.txt file. 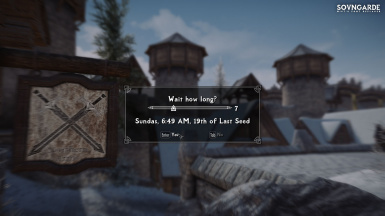 Made the patches with 12th Century and other fonts work seamlessly across any version of Sovngarde you have installed (light or bold & V8.4+). 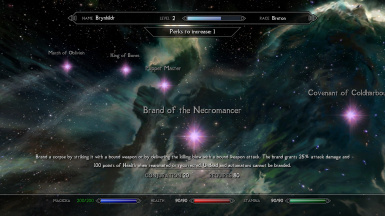 Added apostrophe support for Sovngarde Light & Bold. Recreated Sovngarde Light with streamlined characters and every improvement it missed out on since V7. 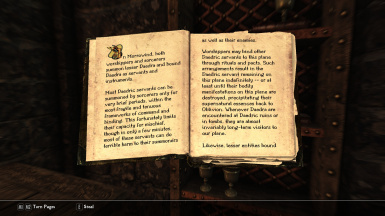 Now supports the glyphs used in text from Lost Library, Ambriel, Legacy of the Dragonborn and Immersive Wenches. Finally no more boxes in dialogue or books! Added Œ, œ, ¯ (macron), Š, š, ´ (acute accent), ± (plusminus). Fixed the Spanish question mark. Resized the numerals to be even with the peak vertical heights of the uppercase glyphs. Resized the Sovngarde console font and created inverted bracket versions of the console font to match the primary font in the inverted files. Removed all overlap causing blank space such as the following glyphs: #, +, Æ, &lstrok;, &Lstrok;, Đ. Updated the book font patches for 12th Century and Font Overhaul to be compatible with V8 and all future versions. Reweighted all letters for every supported language. Standardized all uppercase letter heights. Specifically raised B, A, O, Q, G, V & W to the standard height exhibited by K, M & T.
Resized a majority of lowercase letters to the standard height exhibited by "a". Created an entirely new set of numerals set in the new style of Sovngarde. Changed all punctuation weight and majority of punctuation glyph styles. Adapted existing glyphs or replaced all punctuation with new glyphs and designs. Shortened the length of the uppercase L's lower arm. Replaced the console font with a larger version of Sovngarde. Added and tested full support for Polish, which had not worked in some earlier versions. Just remember to download the Polish USSEP translation or you'll have English mixed throughout your game. Fixed the misspelled console font reference in the fontconfig.txt in the first version of V8. 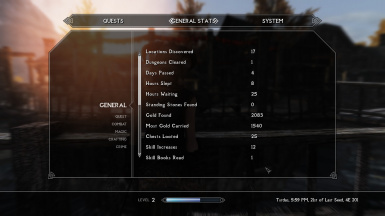 Fixed missing dragon shout symbols in the magic menu. 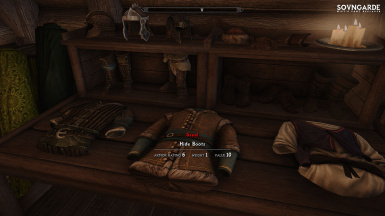 Now compatible with Ordinator & Perkus Maximus. Displays multi-line perk descriptions correctly. Desktop edition now includes a Turkish version. Now includes both OTF & TTF. Implemented a fix for the missing second perk description lines in Cyrillic. Added the Russian TTF to the Desktop Edition. Replaced asterisk with new design. V6.1 had an apostrophe before the asterisk when typed. That issue was fixed with this update. Fixed backwards Spanish question mark. Uppercase & lowercase glyphs are finally a uniform weight. "B" now has a unique glyph that isn't a repurposed "P". Fixed a bug with displaying the letters "YO" and "yo" (e with 2 dots). Dash above "i kratkoe" is now larger. Shout descriptions no longer clip. Added the interpunct (middle dot) glyph for compatibility with Storage Helpers. Added degrees symbol so Italian works completely. Cyrillic version is now available. The "X" glyph in the Cyrillic version is different than in the multilingual version. Added ordinal indicators ª º for Italian, Portuguese & Spanish. Sovngarde desktop edition is now available. Slightly adjusted the kerning on many of the rounded characters in the font. Inverted closed brackets edition released. 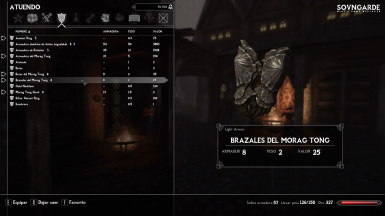 Font placement within all the menus has been adjusted so the font is in line with all the icons and arrows throughout the journal & inventory. Added optional inverted closing bracket edition. Added Polish letters, but due to display issues in-engine, Polish isn't supported till a solution comes to light. W now has a unique glyph rather than being an upside-down M.
All lowercase letters are now bold and match the uppercase letters perfectly. A Matter of Time compatibility added. Enlarged the size of periods, commas, colons, semi-colons, exclamation points, question points, and the grave accent. 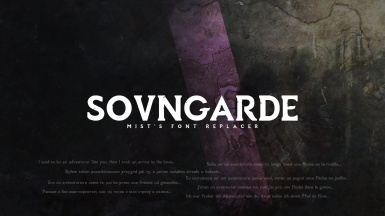 Sovngarde is a font I conceptualized and designed by hand into an easily legible body font based on Skyrim's intro title. Supports English, French, German, Italian, Spanish, Portuguese & Russian languages, along with 2 font weights! Meet Drukaatie Burti, the new open source font included with Sovngarde to replace the book fonts! Features the same expansive 8 language support and an immersive inky look. *Compatibility patches available in optional downloads. 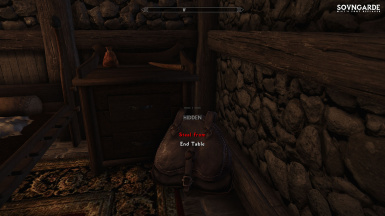 Experience Tamriel with more immersion, authenticity and the feeling only a true RPG font can give. Supports 7 languages including EN, FR, DE, IT, ES, PT, RU. Imperial Septim international currency symbols. Now features Drukaatie Burtie, an open source font I upgraded to support all 8 languages Sovngarde does. 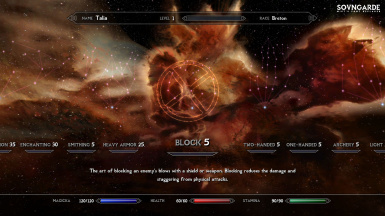 Compatible with Ordinator and all other perk overhauls. 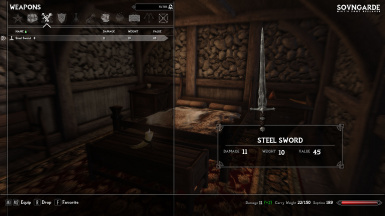 See mirrors to get this font for other platforms and Elder Scrolls titles. Download using your preferred mod manager. 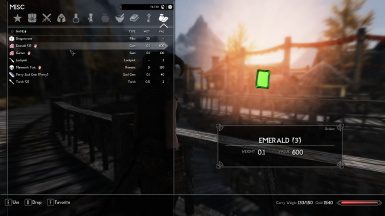 or drop the unzipped Interface folder into your Skyrim/Data folder. 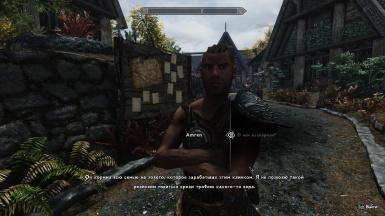 Uncheck in your mod manager. patch it with the tutorials here. 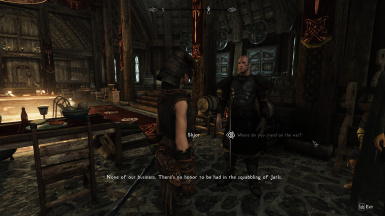 Menus and dialogue display languages other than what you're playing in. Low resolution or pixelation on the font. which can have very visually adverse effects. Outdated skyhud.txt. Please migrate your old skyhud.txt to the new one properly. there are settings missing in the new config, ignore those settings. Mist created and implemented English, French, Italian, German, Turkish, Spanish, Polish, Russian & Portuguese. Fozar created the Cyrillic font. to include Polish & Russian so I could use it with this mod. into being because of your support. Thank you. 1. Copy fonts_sovngarde.swf & fonts_sovngardeconsole.swf into the Interface folder. 2. Open fontconfig.txt in Notepad+. ... to the top of the document. 3. Edit the following values to the font names listed and save a backup of your fontconfig.txt file prior to doing so.